Following registration of the land, the land sale will be settled and the balance of the land amount is paid. Final payment is due after Practical Completion stage and the final inspection. The house is then settled. All inclusions will be listed in the building contract. Stamp duty is only paid on the land portion of purchase. If you were to pay stamp duty on an established home (which Revenue NSW class as ‘improved land’) worth $650,000 you would be paying stamp duty of $24,740. 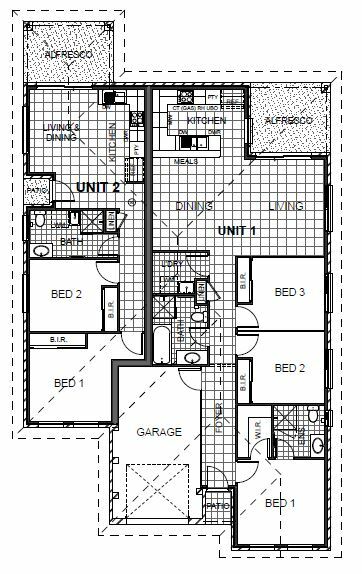 Stamp duty on a new off-the-plan house worth $650,000 but with land value of $350,000 only incurs $11,240 in stamp duty. You are saving over $13,000 by purchasing a new home. KEEP ONE OR KEEP BOTH – THE CHOICE IS YOURS! Gillieston Heights is a tranquil suburb of Maitland, part of the idyllic Hunter Region. An investment with capital growth and regular income? This NEW ‘off the plan home’ with two income sources may provide the result you require. Cliftleigh offers country living without being isolated from big city conveniences. The 2014 opening of the Hunter Expressway puts the Newcastle CBD less than 40 minutes away and the recently upgraded Main Road connects Cliftleigh to Cessnock, Kurri Kurri, and Maitland. The opening of the Hunter Expressway is fuelling a population boom in Cliftleigh. While it’s never likely to lose its rural charm, 1000 new homes are expected to be built in the area within the next decade. This population explosion should see this rural community receive new and improved infrastructure. For more information, Contact Kevin on 0412 849 620 or 4990 1233 today. © Ray White Cessnock. Based in Cessnock.